Over roughly the past decade, oil and gas production in the United States has surged dramatically--thanks largely to technological advances such as high-volume hydraulic fracturing, more commonly known as "fracking." This rapid increase has generated widespread debate, with proponents touting economic and energy-security benefits and opponents highlighting the environmental and social risks of increased oil and gas production. Despite the heated debate, neither side has a monopoly on the facts. 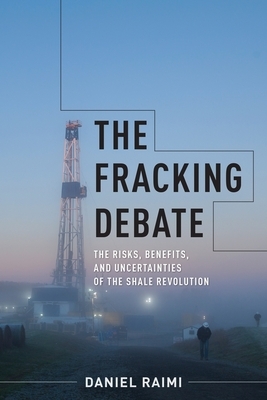 In this book, Daniel Raimi gives a balanced and accessible view of oil and gas development, clearly and thoroughly explaining the key issues surrounding the shale revolution. Daniel Raimi is a senior research associate at Resources for the Future, focusing on energy and climate issues. He teaches energy policy at the Gerald R. Ford School of Public Policy at the University of Michigan and is a faculty affiliate with the University of Michigan Energy Institute.